You are currently browsing articles tagged Bonding. Adam is having a conversation with his mommy. What could he be talking about with all this cooing and hooting? All he knows, really, is eating, sleeping and pooping, right? Mom’s been feeling a little frazzled these last couple of weeks. Adam has been suffering some stomach problems, most likely due to the formula we’ve been using. We’ve changed formula three times now, most recently, just a couple of days ago, we went to a soy-based formula and it seems to have done the trick. Still, a baby with a perpetual belly ache is hard enough to deal with, but add to that a second baby, and although relatively mild-mannered, still presents a significant challenge. So, what better way to work out the kinks and frustrations than a day at the spa? Later: Took the kids to the mall in Gautier (pronounced “Go-shay”) this afternoon. I needed a new set of Craftsman screwdriver bits, so we decided to head to Sears. 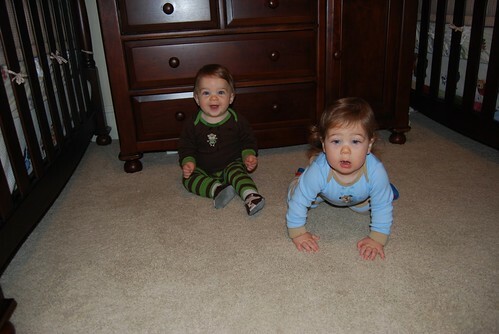 So, I packed-up the boys and we took-off up the road (Gautier is only 6 or 7 miles away). 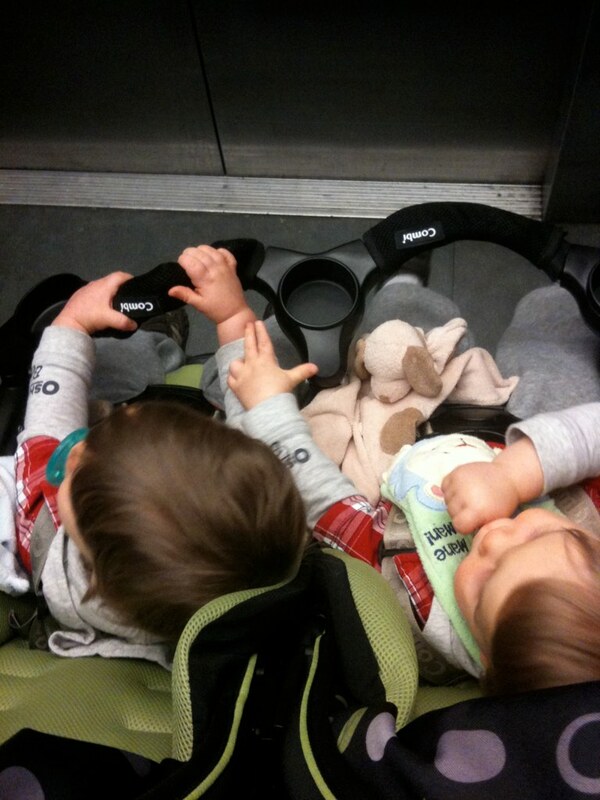 At the mall, the boys piled into the Battlestroller Potempkin and we wheeled our way inside. As is normally the case, I made a beeline to the product I was looking for, paid the cashier and exited to the interior of the mall. 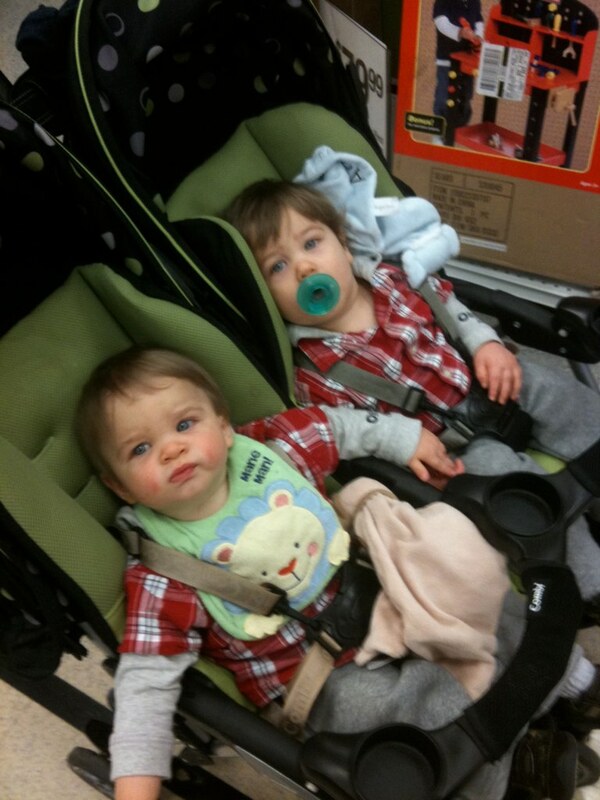 Shortly thereafter, as the boys dozed in the stroller, I was enjoying a couple slices of New York Pizza. Then it was back in the van and home again. Not a bad day for Dad.